Love smudge combo twin packs! 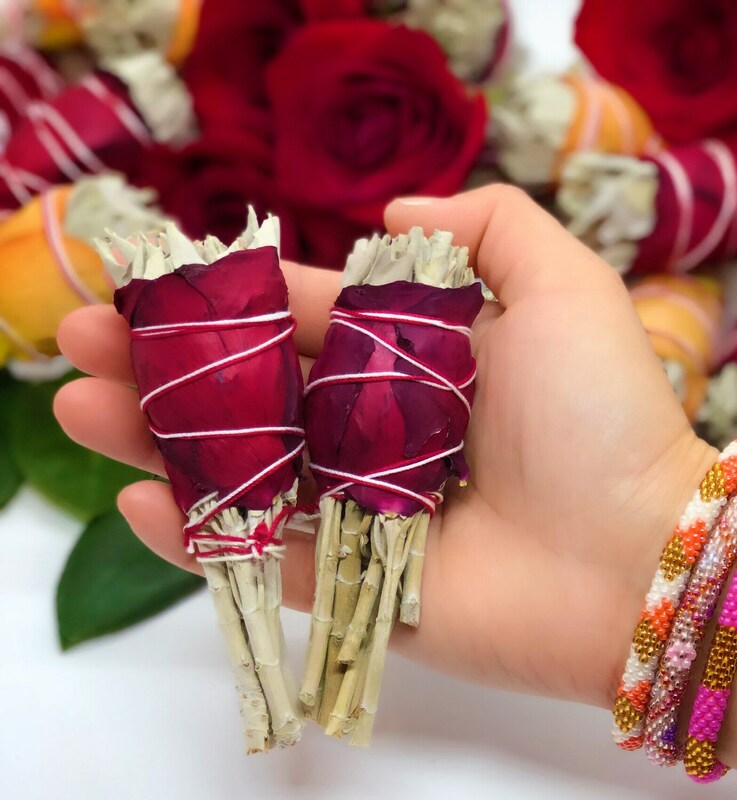 You will receive two organic white sage with rose smudge sticks. Chose your color combos. 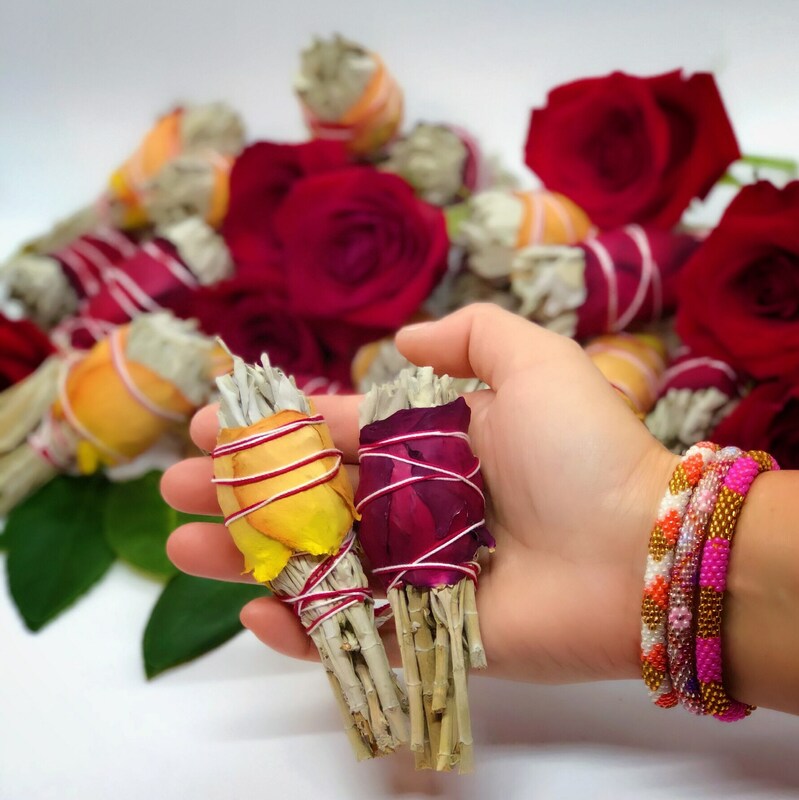 Each measures 3-4” and are made with traditionally harvested organic white sage and organic roses. Beautiful and as expected. Well packaged. Gorgeous and quick delivery! Great customer service!